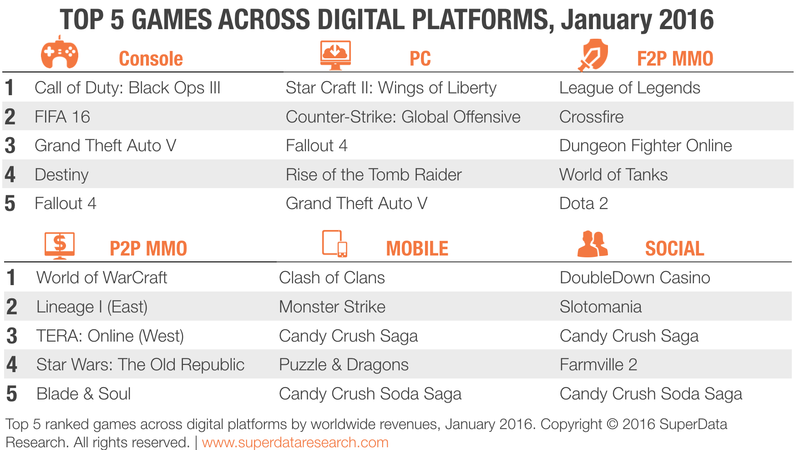 SuperData released their latest report on Worldwide Digital Games Market, for the month of July 2016. 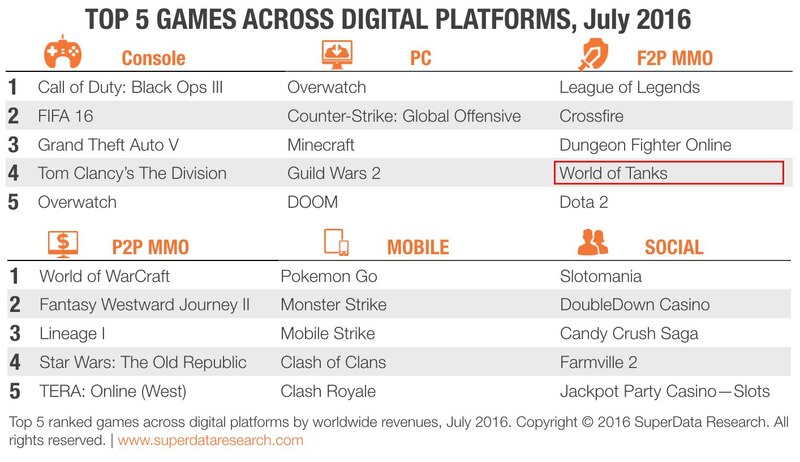 And World of Tanks shows up as the fourth in the Top Grossing Free-to-Play MM Games by Revenue. The Top 5 hasn’t move since the beginning of 2016 for F2P MMo, where World of Tanks was already ranked at number four. Next Entry What’s On The Horizon for World of Warships?